We are now facing our darkest hour. The DEA has filed a notice of intent to schedule and ban kratom by September 30th, 2016. Countless people depend on this safe and effective herbal remedy related to coffee that was sacred to the Buddhists, who have used it safely for thousands of years. Many of you depend on this healing leaf for your general well-being, pain and suffering, depression, anxiety, PTSD, opioid dependency and more. 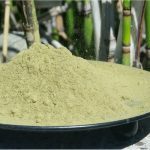 Experts have confirmed the 2 main alkaloids in kratom the DEA wishes to schedule (effectively banning the whole plant) are safe, effective and have many positive benefits. The recent decision to ban kratom federally comes after several failed attempts at the State level. 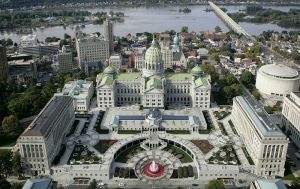 It was your heartfelt testimonials, phone calls and letters that caught the ear of compassionate lawmakers. It’s now time to send them to any and everyone with any influence over this action – our last chance! 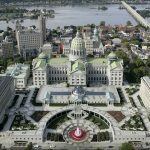 Here are several things you can do while we work the system from the inside with a top Washington, D.C. law firm. 1. Sign the Petition to the White House – http://tinyurl.com/jk3crus and make sure to confirm your email from the petition. Only Sign ONE time. 2. Join us for a March on the White House, Tuesday September 13! We are co-sponsoring a peaceful protest/march at the White House. Please attend and share the event with your friends and family. E-mail Karen B. DeSalvo, the Assistant Secretary of Health. E-mails and letters must be documented by all federal agencies for proof, phone calls are effective, but aren’t documented in the same way. Please send any information you have from doctors, nurses, researchers, or papers from PubMed. Call 202-307-1000 and ask for Melvin Patterson. Press #4 to share your story. 7. Donate to the American Kratom Association and buy a shirt! We must raise an unprecedented amount of money to pay for our legal team, a public relations firm, lobbyists, scientists and more, but we also must raise money to keep our organization running if the ban goes into place so that we keep our doors open and work to reverse it. 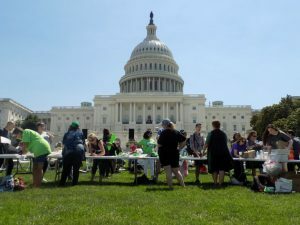 https://americankratomassociation.nationbuilder.com/donate or http://www.iamkratom.com/ for t-shirts. Click on AKA Fashions as we have more options available. THE TIME TO TAKE ACTION IS NOW! BEFORE IT’S TOO LATE! We need YOUR help to fight the DEA’s Intent to Schedule Mitragynine and 7-Hydroxymitragynine, which would make Kratom (i.e., Mitragyna Speciosa) a controlled substance. Below is a letter template you can use to write to your Senator, your Congressperson, the Department of Justice, the Attorney General, the Office of Diversion, Drug Enforcement Administration or the (ASH) Acting Secretary for Health. My name is ________, I’m a __-year old _________ from _________ and I’m your constituent (when writing your Congressman and Senator). I’d like to voice my opposition to the DEA’s Intent to Schedule the alkaloids Mitragynine and 7-Hydroxymitragynine, which would make Kratom (Mitragynaspeciosa), a schedule 1 controlled substance with no medicinal value. 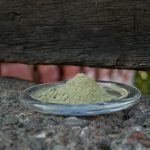 This would put kratom, a plant helping millions of people suffering chronic and acute mental and physical conditions that is also safely easing the nation’s opiate epidemic problem naturally, on the same level as illegal drugs like heroin. It would also prevent further research which, to date, has shown kratom to be an effective painkiller that does not cause respiratory depression; the main cause of death from opiate overdose. Previous PostFLORIDA ACTION ALERT! We need your help! Next PostLawmakers urge Louisiana Department of Health to study kratom: why? How do I apply for a research study for kratom in Illinois Indiana or north Carolina…..